Love the taste of fresh ginger and seared tuna. Pour some broth over and you have a super quick & easy weekday winner adapted from Mindfood's Winter. heat. Add freshly grated ginger and cook until aromatic. Add stock; bring to the boil then add noodles. 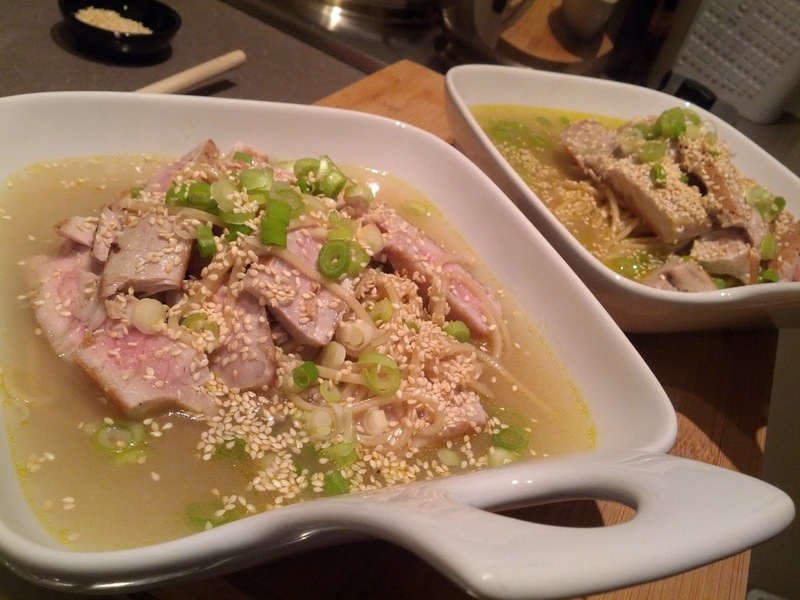 Reduce heat & simmer for 4-6 minutes depending on type of noodle. Heat a frying pan over medium-high heat. Spray tuna with olive oil & season with salt & freshly ground pepper. Add steaks & sear 2 minutes on one side and 1 minute on the other then transfer to a plate. Let is rest for a couple of minutes before cutting into thin slices. 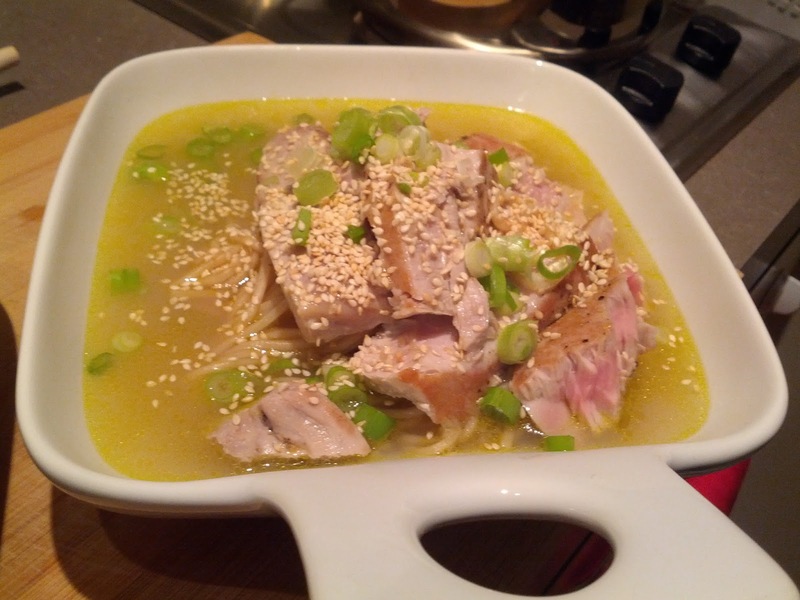 Place some noodles in a soup bowl, ladle some broth over finishing with the tuna. Serve sprinkled with chives & sesame seeds. Enjoy!